Welcome to Aquasoft's™ simple and informative guide in choosing your home and office water filtration and water treatment system. Choosing the right Water Filter for your home and Office can be a daunting task with so many systems and kits available to buy online today. The question we ask ourselves is, do I need a Water Filter and should I filter everything out? Well, with our quick and easy guide navigator, selecting a system to suit your needs has become a much easier task to fulfill. Our Bodies are made up of 70% Water, and we require about 4 to 6 liters of water a day to keep our bodies cleansed and to function efficiently. Water in Ireland from a domestic water supply is neutral at a pH of 7, resting between an acidic and alkaline balance which is perfect for drinking. To kill any bacteria in our water supply, Chlorine is added to our drinking water to ensure ecoli and coli form bacteria doesn't flourish. Fluoride is also added to encourage teeth forming cells which is odour-less. Like many of us, we have all been to a swimming pool and smelled chlorine and remember our eyes stinging and our skin dry when returning home from our swimming lessons, gym pool or holiday resort in the sun. Now, fluoride on the other hand is an interesting debate for a lot of people. Why, surely fluoride is a god send. It's odour-less, it help's teeth forming cells and it's in toothpaste and it cleans and keeps our teeth clean. Doctor Arvid Carlsson, Pharmacologist, Nobel Laureate in Physiology and Medicine, 2000 said ''I am quite convinced that water fluoridation, in a not too distant future, will be consigned to medical history''. There are 2 chemicals that are present in Irish drinking water - Chlorine & Fluoride. Now the question, we should ask ourselves is, does water naturally have chlorine and fluoride in it? Fluoride is a benefit to our teeth through regular brushing with fluoridated toothpaste and mouthwash daily, but do we swallow mouthwash or toothpaste when we brush?, but we do consume it through our bodies everyday through drinking tea's, coffee's, boiling vegetables, making soups, coddles, gravies, sauces and all other household related drinking activities with water. I would agree that fluoride is good in doses like when washing ones teeth with toothpaste but should we just accept that fluoride is in our water with out any hesitation or simple questioning of the amount we are consuming daily, monthly or even yearly, and does it agree with our logic and common sense, with what seems right or do we wait for a potential problem issue to occur and its too late, when the facts seem evident and it agrees with our own understanding? Ultimately, it's your own decision. 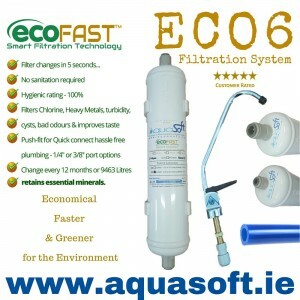 At Aquasoft™ , we provide Water Filters Kit's that cover the above article and Water Filtration Kit's that don't. Here is our simple and one click quick guide to enable a smooth and confident purchase. All systems purchased have a 60 days money back guarantee and 3 year warranty extension via website registration within 30 days of purchase receipt. All our Water Filter Kits comes with a separate drinking water tap (mounted at the corner of your kitchen worktop) as standard. You may notice that we offer 3 way kitchen taps or Tri-flow faucets as well. You may upgrade your tap from standard to a Tri-flow on checkout if you require one. Our Kitchen Tri-flow taps replace your existing dual hot and cold tap and incorporate 3 feeds in one faucet, hot, cold and a filtered feed to cater for your purified drinking water. There is no cross contamination between feeds. Why would I need one of these taps? If you have invested in granite, siles stone, marble, belfast sink or even a new kitchen worktop and want to set it off with minimum cluster. Aquasoft's Tri-flow range is ideal for you. All kits here mentioned have an upgraded Tri-flow tap on checkout with any water filtration system. 3 Year warranty via website registration. Help Guide - Starts here! Protection against all of the above including mercury, oestrogens, nitrates, arsenic, pesticedes, herbicedes, Chlorine, Fluoride, Lead and Cryptosporidium, trihalomethanes, cysts garidia and more. Do you do portable water filters?